Users need significant bandwidth for enterprise applications such as video conferencing, file sharing, and video streaming. With new advances in software, enterprises can prioritize traffic on the Wi-Fi network based on the business’ needs and available bandwidth. This is important as your enterprise will want to make sure that unnecessary users and apps are not monopolizing the bandwidth and preventing critical applications or user access. With improved Wi-Fi, enterprises can now see user patterns and performance requirements, and are able to tailor their wireless networks to deliver the appropriate level of bandwidth to their most critical and data-intensive applications. With improved reliability and control of Wi-Fi networks, employees are free from the wired network when using performance-intensive applications. This untethered freedom drives operational excellence and increases productivity as employees can do more than ever before, whenever needed, wherever they are. Wi-Fi is the “go to” network for employees no matter where they are, and they expect to have the same level of access information, applications, and resources as they would when plugged in. Through leveraging the advances brought by the latest Wi-Fi standards and protocols, enterprises can give their employees the freedom and flexibility they demand. In addition, advances in wireless management tools bring better network visibility for the IT team. With this insight, your IT department can make informed decisions in real time, allowing them to create an adaptable network that can keep up with today’s dynamic business. With this enhanced vision, the Wi-Fi network is able to deliver the speed, quality, and reliability needed for a positive end-user experience. As a result, enterprises can build an environment that fosters increased productivity for mobile workers with today’s Wi-Fi network. The Internet of Things (IoT) is having a profound effect on the demands and expectations of wireless networks, and businesses are connecting more IoT devices to the network than ever before. As innovation produces more gadgets that can connect to networks, enterprises require a Wi-Fi solution that ensures everything is performing as needed. The role of the access point becomes crucial in order to deliver the scale and seamlessness these devices require. Enterprises must have the right technology in place for IoT devices to communicate securely and efficiently. For example, a wireless sensor must be configured properly to ensure it can be identified and connected to the best access point to achieve optimal performance. A mobile device management (MDM) platform may be required to authenticate the sensor to maintain adequate security levels, and an access point controller may be responsible to prevent IoT congestion from interfering with business-critical application traffic. There’s more to Wi-Fi than offering flexibility for employees to work without the wires; it is also a means in which IT is able gather valuable data and information for your enterprise such as device types, user groups, and applications. They can then use this insight to create opportunities that will improve practices, tailor customer experiences, and capitalize on new trends. As Wi-Fi technology has improved over the years, so have the tools used to analyze data crossing the networks, making it easier to translate it into usable information. 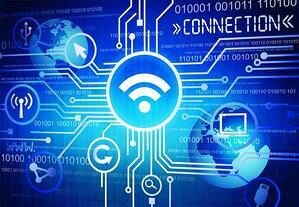 While Wi-Fi can bring significant advantages, it doesn’t come without risk. With a network of wirelessly connected devices accessing business-critical information from various locations, there is a greater security risk for enterprises. The perimeter of your enterprise now extends beyond the office building and the traditional wired network. This network is part of the security solution as it authorizes access to the network and governs which users can access information and resources. The time has come for Wi-Fi to elevate its value in the enterprise. As its role expands beyond basic connectivity and evolves to include critical implications for productivity, security and analytics, new requirements are placed on the Wi-Fi network. Fortunately, new technologies are emerging to help. The emergence of robust access points, advanced management tools, intelligent analytical platforms, and network access control solutions is giving Wi-Fi a much needed boost as a business-critical platform. If you’re looking to upgrade your Wi-Fi network to meet today’s mobile demands, or have recently embarked on an upgrade project but you’re still not getting the type of performance or scalability you expected, now is the time to reevaluate. Let the WEI team assist you in analyzing your wireless networking strategy to achieve optimal performance, and power your enterprise forward. NEXT STEPS: Want to learn more about how Wi-Fi can support the modern enterprise? Read our tech brief, Top 5 Roles of Wi-Fi For the Enterprise, to get started.